The main event at our steakhouse is of course steak on stone. We’re the unique and original steak on a hot stone dining experience. Often imitated, never duplicated! 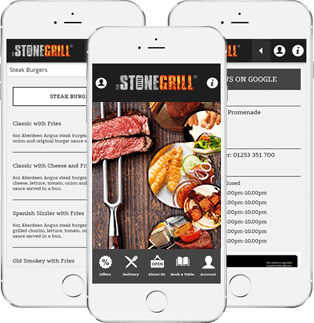 WITH A FANTASTIC COMBINATION OF FRESH top QUALITY STEAK AND A RELAXED ATMOSPHERE THE STONE GRILL IS THE PLACE TO DINE with THAT EXTRA TOUCH OF THEATRE. OUR STEAKHOUSES OFFER SOMETHING DIFFERENT AND SOMETHING TO REMEMBER.